What to do with icon catalogs and paper icons? 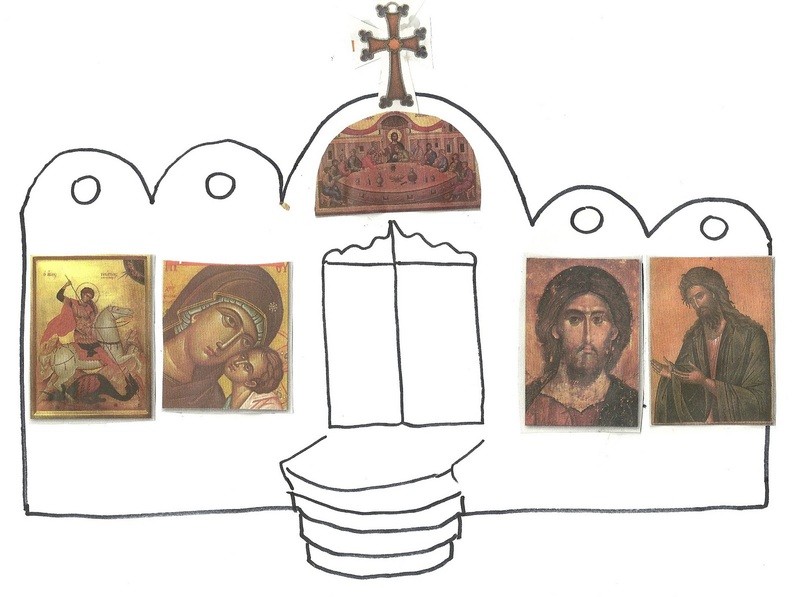 Here's a quick craft to decorate with your Orthodox kids and religious education classes while offering a small lesson. 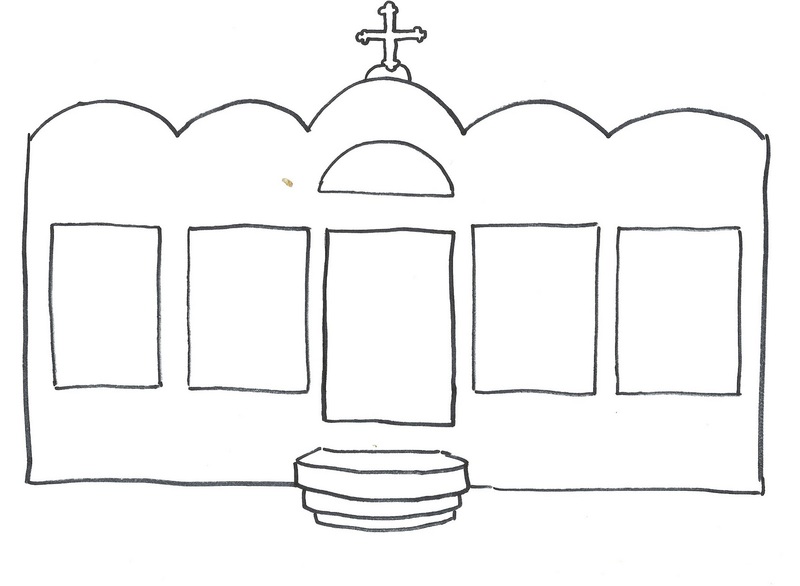 Print out the black and white drawing of the iconostasis or icon screen, and glue icons to match your local parish. Look and discuss where special icons are. Help each child to properly place them in order, Christ always being to the right of the royal doors, and the Mother of God with Christ to the left. Your parish may even have the Annunciation scene depicted on the royal doors, or the Mystical Supper above. St John the Baptist has a fixed position next to Christ. The Patron Saint of the Church is next to the Mother of God. This can also be an opportunity to discuss how for us Orthodox Christians, the altar is Paradise, the holy of holies, where the greatest miracle on Earth happens - our offering of bread and wine becomes the Holy Body and Blood of Christ our God. It is our tabernacle with manna, our food from heaven, along with the word of God, the Holy Gospel. Archangel Michael stands guard at the left door, as he was positioned after the fall with his sword to protect Paradise - Here, the priest always exits the Altar, making his procession, and at times, entering back into Paradise (the Altar) through the door on the right, which bears the Archangel Gabriel who re-opens Paradise to all repentant believers through the Annunciation. These are just a few talking points, as you may elaborate and decorate your iconostasis differently according to the age you are working with. Hope this small project inspires you!